Another B9 S4 in the shop for some H&R Performance Parts! This Tango Red Metallic S4 with only 400 miles on it received a set of H&R Sport Springs along with an ECS Tuning 10mm & 12mm spacers with extended lugs. 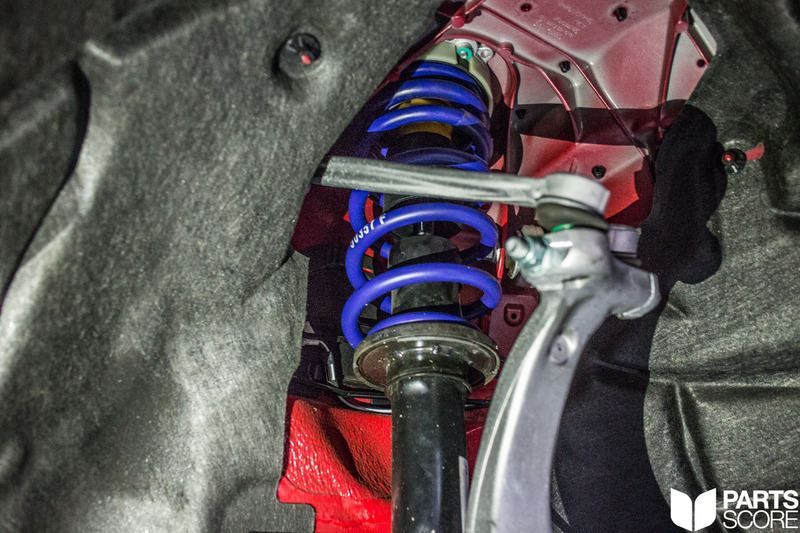 The H&R Springs retain the full Audi Sport Adaptive Damping Suspension while giving the S4 a lower ride height and improved handling. And when combined with the spacers they give this S4 the perfect stance! 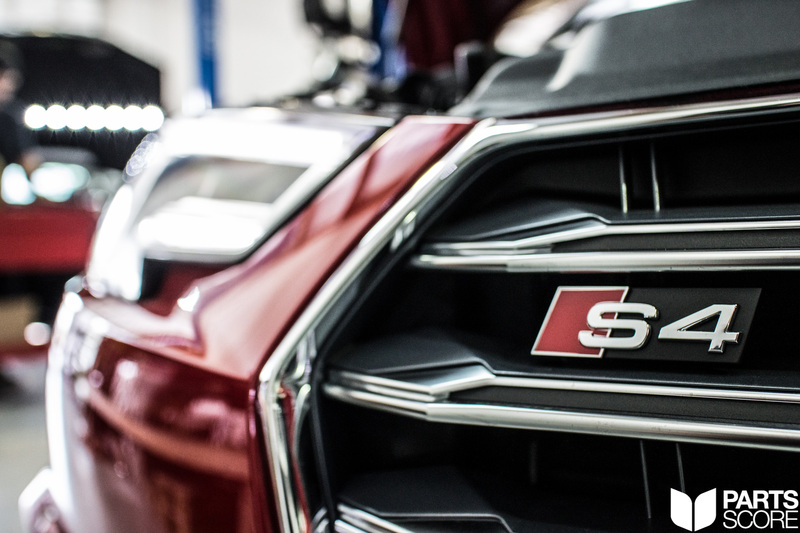 H&R Spring + Spacer combinations are available for all B9 A4/A5/S4/S5 Audi’s, contact us now at 602 814 6543 or contact@partsscore.com to place your order and schedule your installation. For those not local to Arizona we can ship anywhere in the USA or Canada. Make sure to keep an eye on our social media and website as we will be announcing some big things regarding B9 S4’s very soon! More parts are coming! 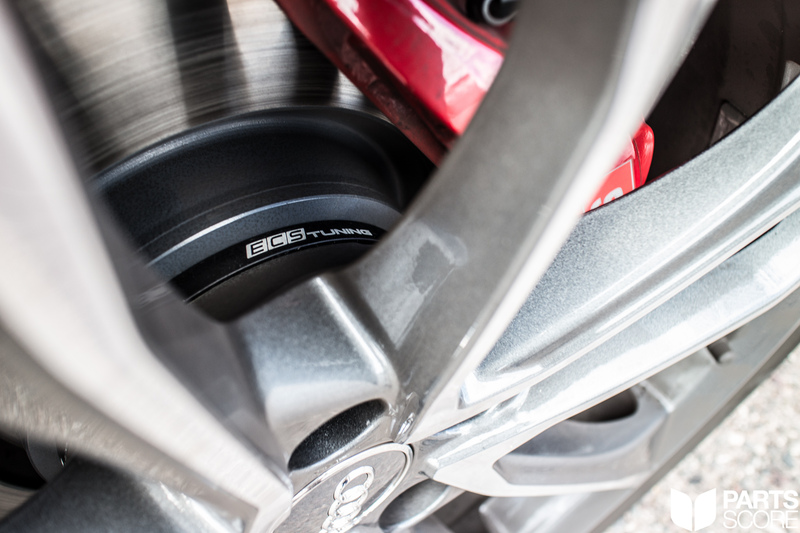 For now, enjoy these photos of the Tango Red Metallic B9 S4 in the shop for the H&R Spring and Spacer installation. 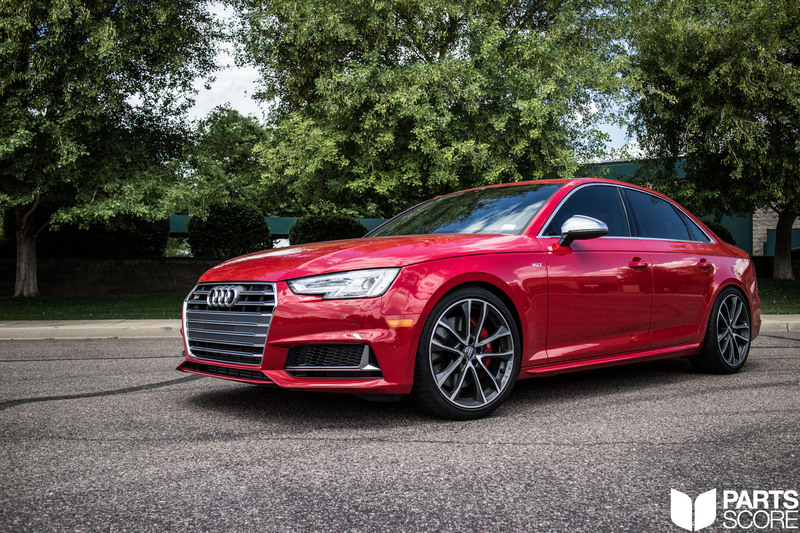 Pictured here is the B9 S4 in its stock form before we dig into the H&R Springs and ECS Tuning Spacers. 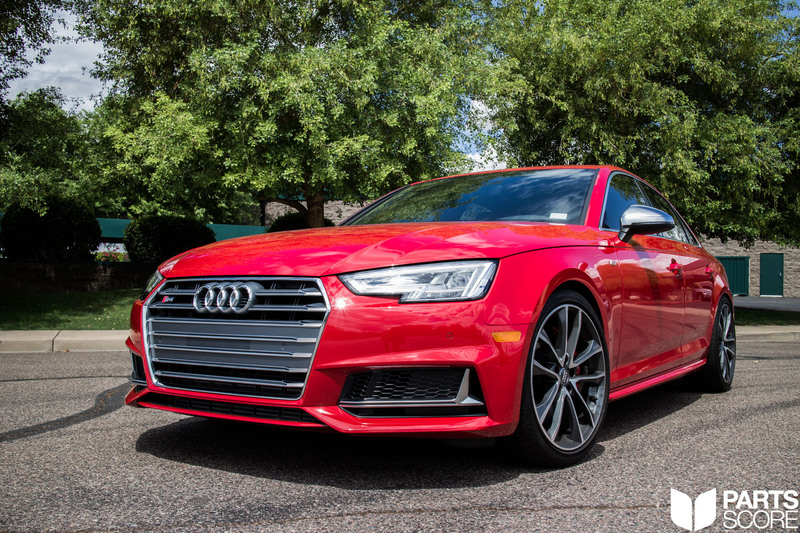 Only 401 miles on this beautiful Audi B9 S4! 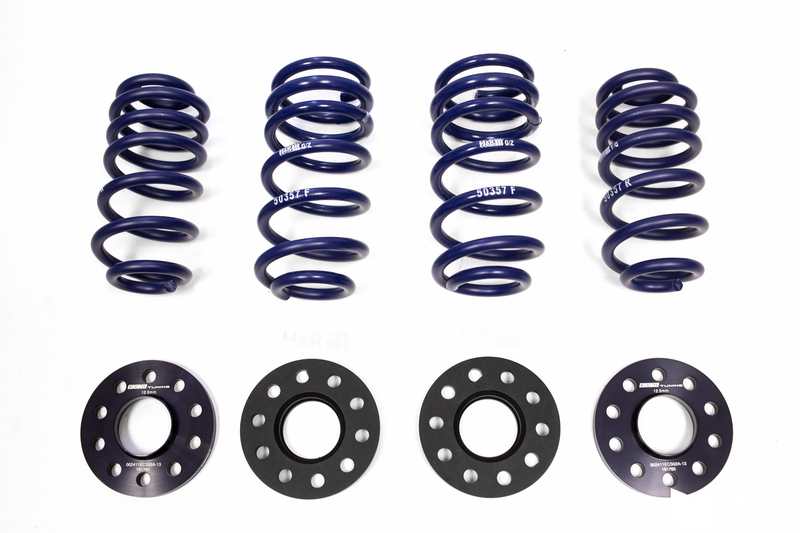 H&R Sport Springs and ECS Tuning 10mm & 12mm spacers prior to installation on the B9 S4. On the rack in the shop ready for us to dig in. 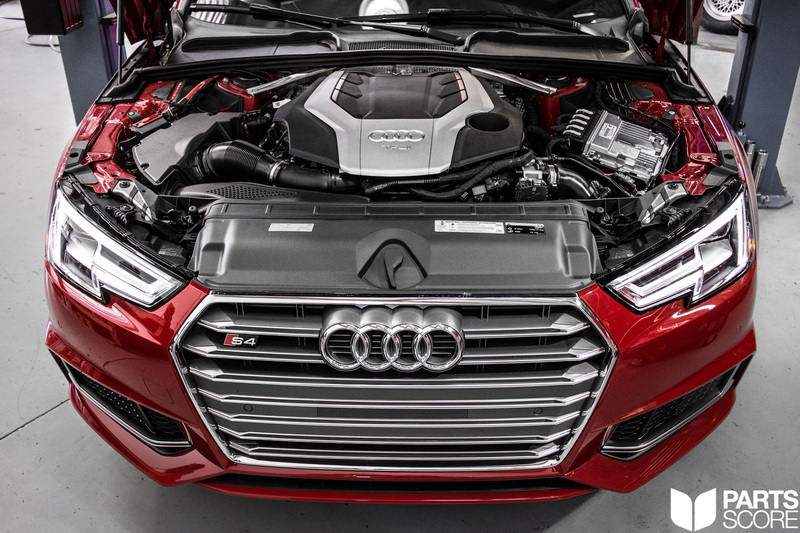 The sharp lines on the B9 are a departure from the more curvy B8 & B8.5’s. 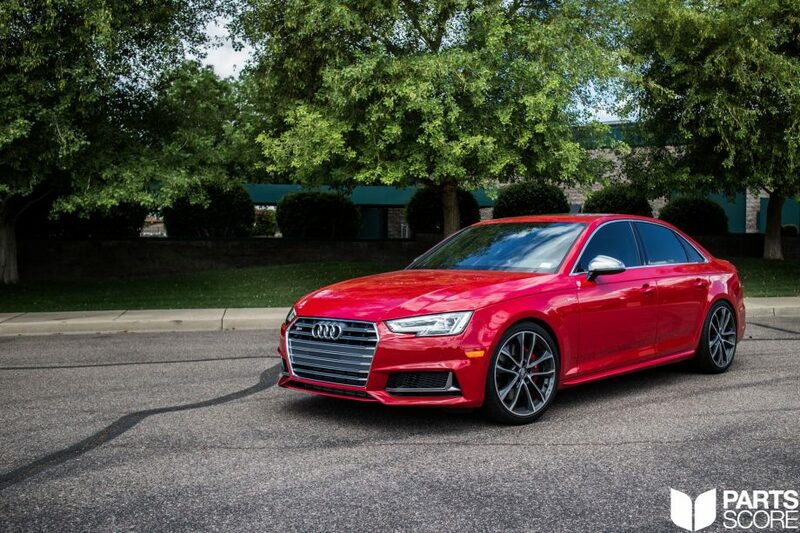 We think Audi did a wonderful job with the exterior styling and this is the best looking Audi S4 yet! 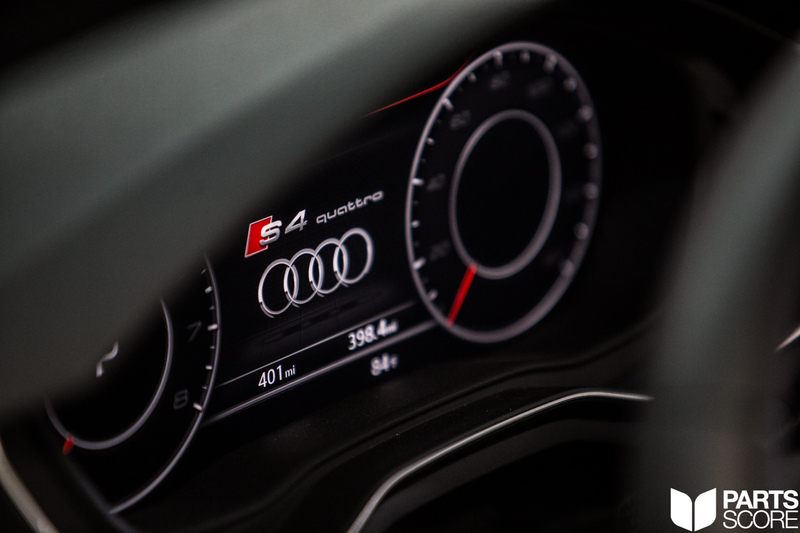 Next to be installed on the S4 are the ECS Tuning Spacers and Extended Lugs. 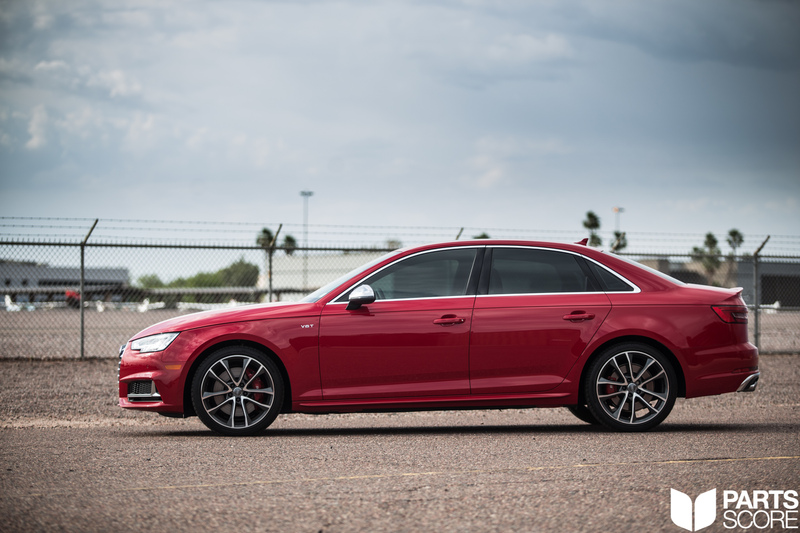 These Spacers push the factory wheels out and when combined with the H&R Springs give the B9 S4 a great wide stance. 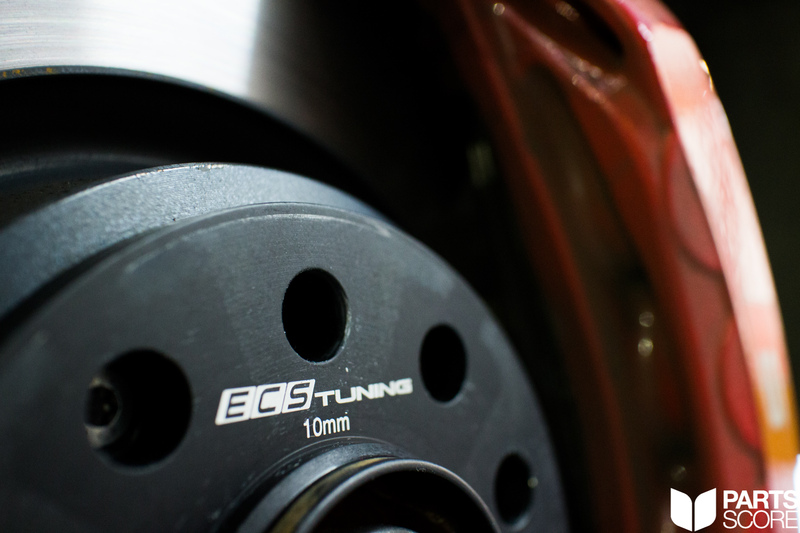 Another close up of the ECS Tuning Spacers before the OEM wheels go back on. Aligned and ready for pickup! These B9 S4’s look incredible with a drop and spacers! 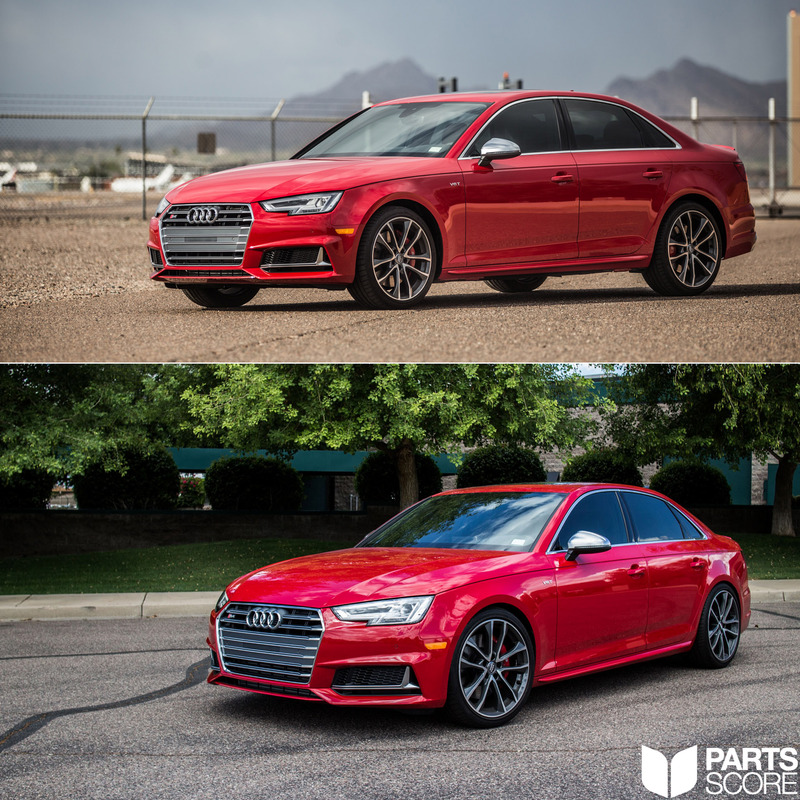 Comparison shot of the B9 S4 in stock form on top and sitting on H&R Springs and ECS Tuning Spacers on the bottom.